I guess it would rock the world. I mean professional athletes getting beat by a little league team. I wouldn't be able to hold my head up either. They got to win a series every hundred years because if they didn't it would make everyone else look bad. You know, not competitive. I mean it is not bad being beat by a bear, but a cub. Give me a break! Change the team's name for gosh sakes! I don't have a clue what you are saying, all I know is that we've been beating the crap out of the Retardinals for the last few years, heck we even won the last series on the road. Those Pirates handed you a fine loss last night. I was on the floor bathing in your teams mediocrity. You say we lost to a little league team? Ha. Keep talking yourself into a delusion, it keeps me going. 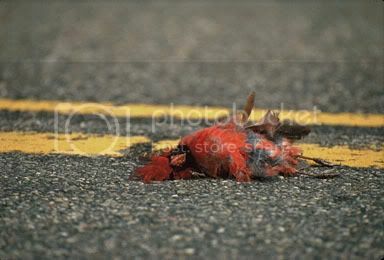 I hope all Cardinal fans aren't as dumb as you, because it might send our country further into recession! why are you here Cardinals fan? aren't you a little lost? Aren't they all? Pathetic little sheep. I guess they're becoming riled and aggressive because their team is beginning to fade and even their manager is expressing doubts about the future. Trolls are trolls and this one isn't even good at it. I'm surprised it hasn't mentioned "100 years" or the other such nonsense. Had to laugh: too true. As the other moderator, along with the admin scuba, I would like to echo Heather's (Ryno) comments. If you want to talk about baseball from a Cardinals fan perspective, you're welcome to come. 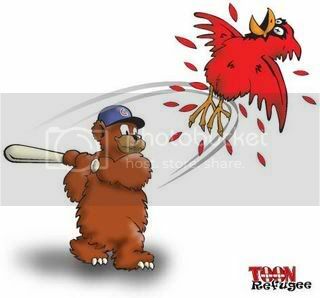 You are welcome to talk a little trash if the Cardinals are able to catch the Cubs, but I think you'd have to make a few trades in order to make that run. I doubt that you'll stay even in the Wild Card spot, as the Brewers have vastly improved themselves when they got CC Sabathia. But, if you're wanting to call the Giants a "little league team," or something like that whenever the Cubs lose, then I'd invite you to leave this board and don't let the door hit ya where the good Lord split ya. Bottom line, we welcome some mature baseball debate, not juvenile name calling. That's why we all left the Cubs.com message board for here. Wow! I guess that guy didn't last here too long!! All times are GMT -6. The time now is 8:03 pm.